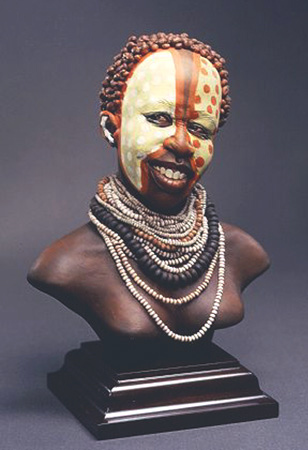 Creager Studios - "Karo Woman"
Quality Polymer Clay and Paper Clay, approx. 6" tall. found along the Omo River. All artwork and Art Dolls displayed in this website are protected by &COPY; Copyright 1998-2007 Jodi & Richard Creager. All rights reserved. All Photography by Richard Creager.